Some amazing technology has worked its way into the home. Now more than ever smart homes pave the way to control virtually everything in a home with the simple click of a button on a smart phone app. It’s crazy to think that what was once science fiction has become the norm in many modern homes. Smart gadgets in the home definitely add a cool factor. They also add convenience in managing home systems and can often even increase a home’s value by making them more appealing to potential buyers. Let’s look at some smart home installations that have the potential to increase the home’s value and desirability. Millennial buyers are especially keen to own a home with updates that feature gadgets that add to the convenience in the home. Thermostats have come a long way over the years. Gone are the days of the mercury filled devices that needed to be manually adjusted. 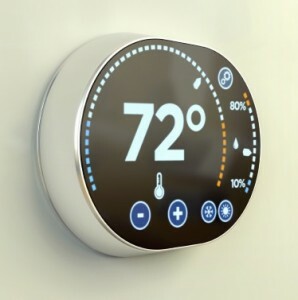 The next evolution of thermostats were the programmable type that allowed homeowners to set temperatures of the home for different times of the day based on the varying needs of the family as the day progressed. The newest iteration of the thermostat is the “smart thermostat.” One type of the smart thermostat is the nest. The nest allows the user control of the home’s temperature even while they are away from the home. It will even track the typical temperature patterns of the home and begin to program itself within a week. Talk about smart. The nest can alert the homeowners when the home changes temperatures too dramatically. There are a couple of reasons this is important. The homeowner can now potentially know, remotely, if there is an HVAC malfunction. Also, people with pets would like to know if the temperature of the home rises too much. In the very hot summer months, it could be potentially life threatening. Programmable thermostats also save energy, time and money. Another product available from the company called Nest are Carbon Monoxide and Smoke detectors. 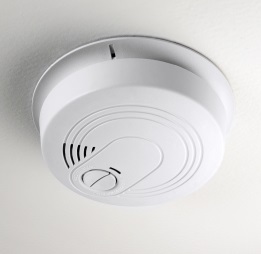 When Carbon Monoxide or smoke are detected, they send an alert to the the homeowners cell phone. Some brands of the device have an audible notification setting. This gives the owner a chance to turn off the alarm before it launches into an ear piercing scream. Key-less door locks are a fantastic way to secure and gain access to the home. They are gaining rapidly in popularity. 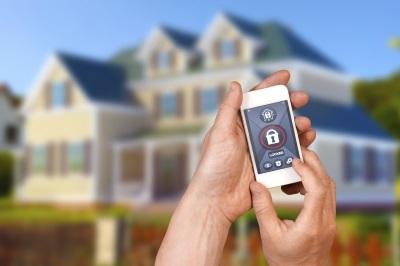 The way it works is, the homeowner can now lock and unlock their doors with a smart phone. This is a far cry from leaving the keys under the mat. There is also now no longer a need to turn the car around to make sure the front door is locked. These products are available from august store, The locks costs $250 for each door. They do cost quite a bit more than a typical door lock. One of the great features of this type of key-less entry is the ability to program access codes for specific days and times. So, if the homeowner wants to let the dog walker or cleaning service in at specific times while away, that is entirely possible. Then it remains locked during the rest of the time offering a homeowner an added amount of flexibility and peace of mind. For more information about finding or creating a smart Louisville Home, or how to increase the value of your Louisville Home, call us at 502-371-1173. We would love to help.